Gentle in the native forest. Like something straight off the pages of Vogue Living, Treetops Lodge near Rotorua is a deliciously luxurious escape in the middle of 2500 acres of native forest and game reserve, roughly 15 kilometres from Rotorua and a two hour drive south of Auckland. 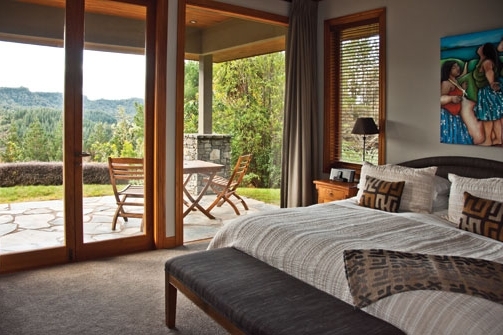 Loved as an eco-retreat, fishing lodge, golf retreat, honeymoon venue and family escape, Treetops Lodge is one of the best of its kind in New Zealand. The architecture is striking – a contemporary take on the old colonial design of the early settlers. Owner, John Sax, built his dream – ‘As a boy one of my greatest passions in life was to fish. I dreamt that one day I might be lucky enough to have a stream or build a pond on a property that carried those ever-challenging trout’. Being close to Rotorua and Taupo gives many opportunities to explore. The region is an active geothermal area with some stunning hot pools, geysers and silica formations. Rotorua is also a key part of Maori tourism, which is well worth experiencing. There are also cooking classes, horse treks, hiking, golf, hunting, guided safaris and helicopter tours, and some stunning fishing. 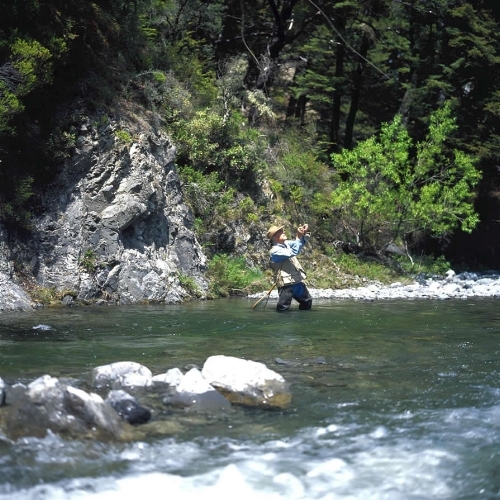 locally there are 13 trout fishing lakes and 60 streams and rivers, and it’s an easy drive to the famed Tongariro River. exclusive use at the nearby Jack Nicklaus designed Kinloch Golf Course -The Kinloch Club, sister lodge to Treetops. plus a 5 Star Kids program.